After doing this podcast since 2013 I felt like it was time for a change. It needed to be something new and something bigger. Instead of trying to be like every other podcast out there I wanted to get to the root of the reason why I started – to share stories! 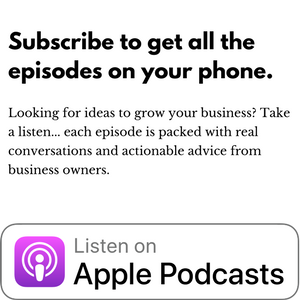 The new format is foreign to most business podcasts and many of the stories and interviews will be with people you’ve never heard of. I hope you join us for the ride. This is the NEW business growth.